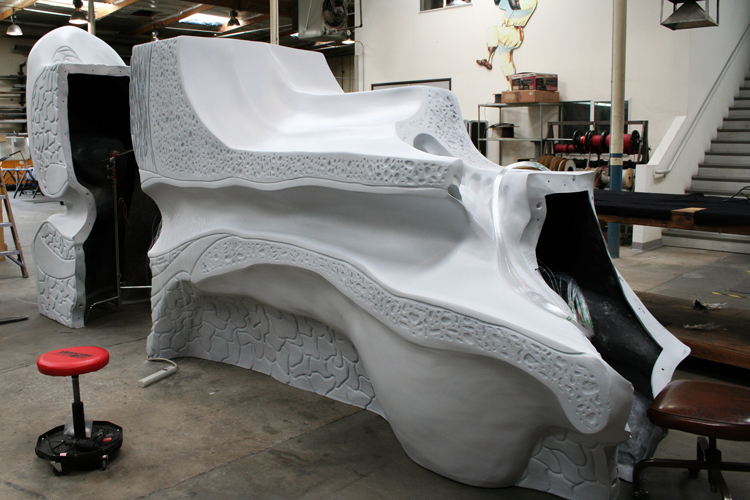 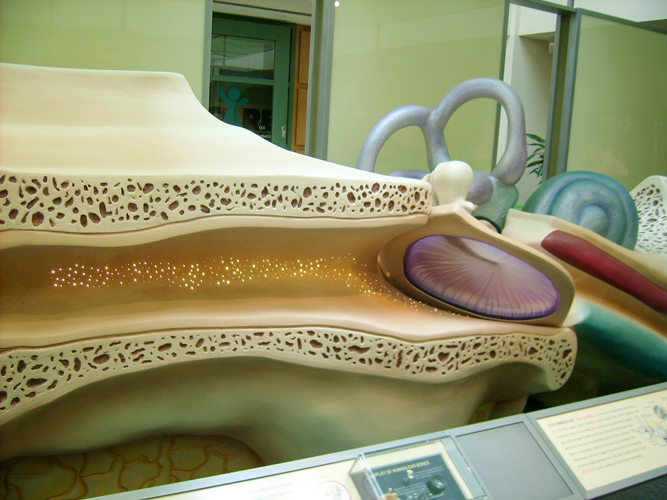 The Ear Canal Exhibit for the House Ear Institute, displays a large scale cross section of the inner workings of the human ear. 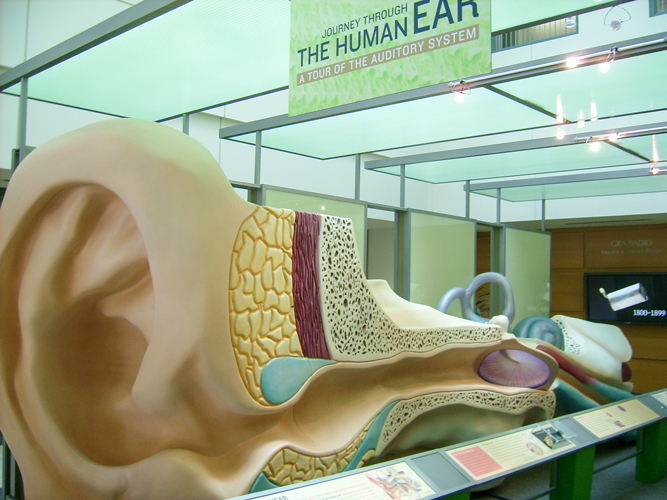 The exhibit starts from the ear canal side at which time they will hear a particular sound while simultaneously seeing an embedded fiber optic lighting chase in the ear canal flowing in a forward direction toward the ear drum. 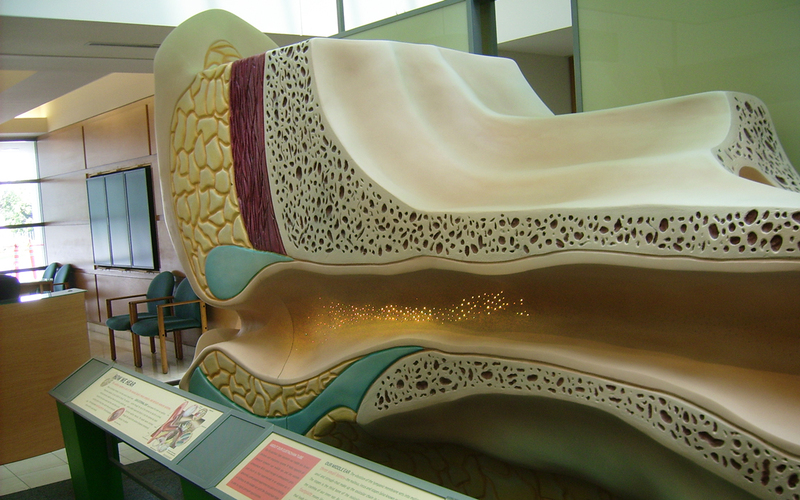 As they continue walking the sound travels from the first speaker to the next as they visually experience the vibration of the ear drum and associated bones (Malleus, Incus and Stapes). 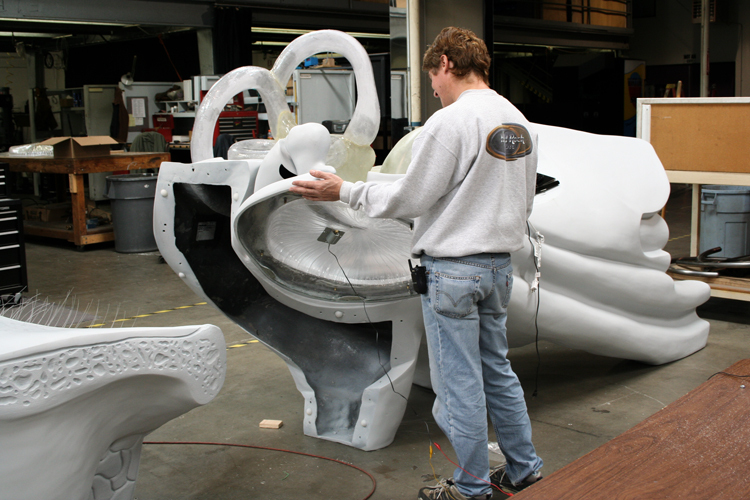 The next visual is the interior lighting of the Balance canals, which in turn begins a chasing light sequence flowing through the Facial nerves. 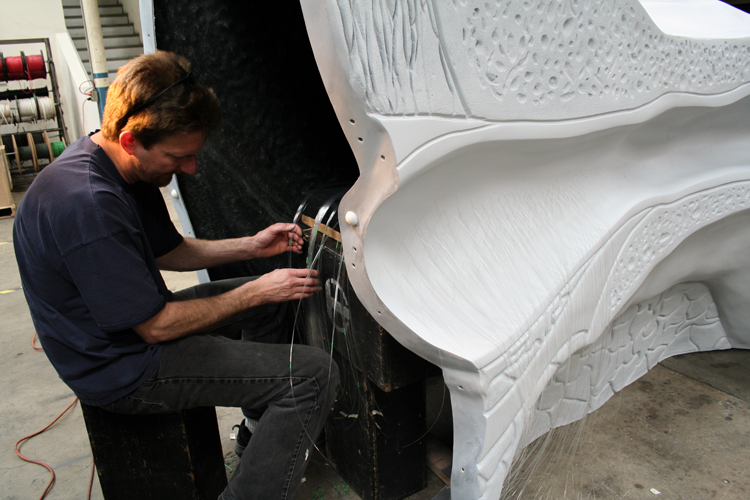 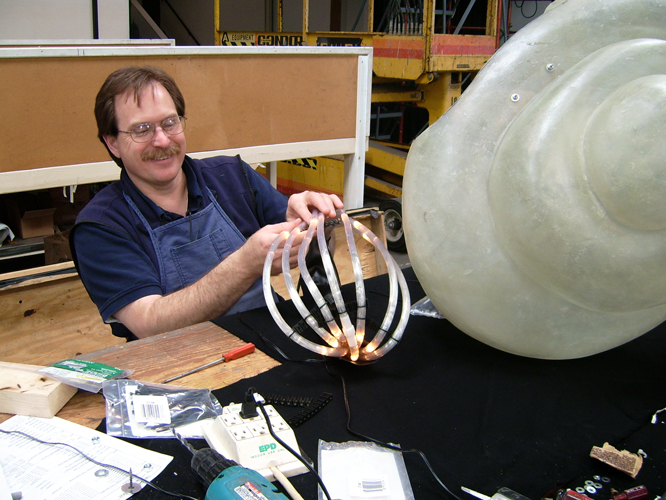 The Cochlea has rear lighting as well as chasing lights through the Cochlear nerves.